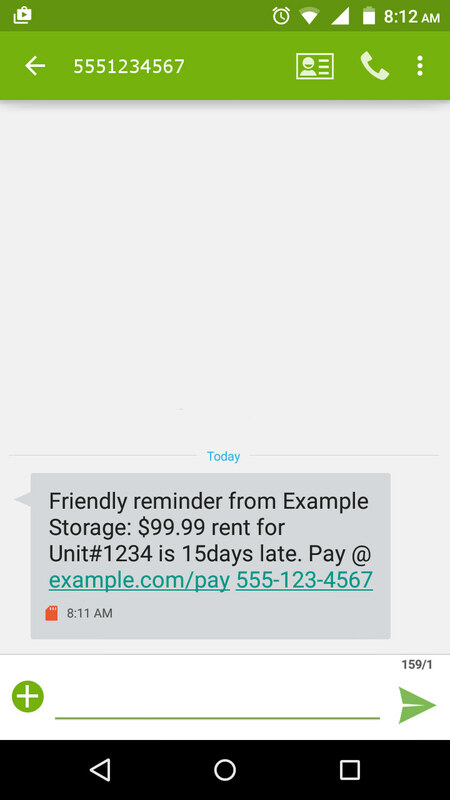 We automate tenant alerts to get you paid without you ever lifting a finger! Just fill out a brief form with your business & management software information. 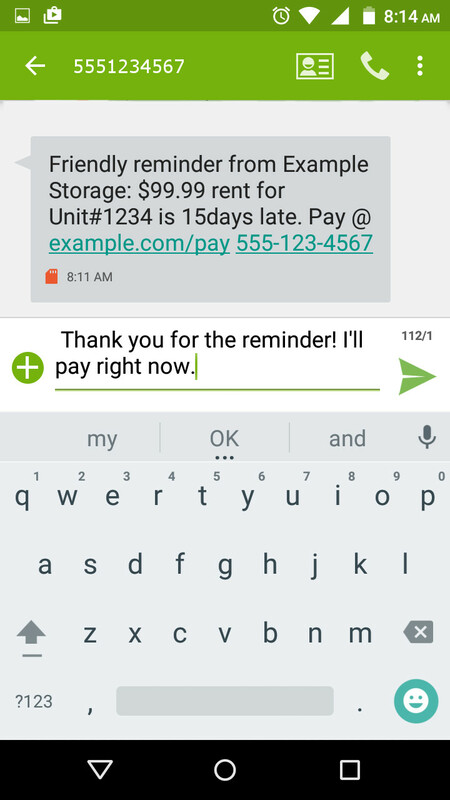 When rent is late, our system Texts, Calls and/or Emails the tenant automatically and syncs notes to your management software. Try SelfStorageSMS™ free for ten days. You'll love it! For detailed information, product demos and more, please fill out the form below and we'll send you an email immediately. You don't want to miss this!